Some of the best Instagram accounts haven’t got millions of followers. But with so many foodie accounts on the Gram these days, the good ones are harder to find, than love on Bachelor in Paradise island. But, listen up. 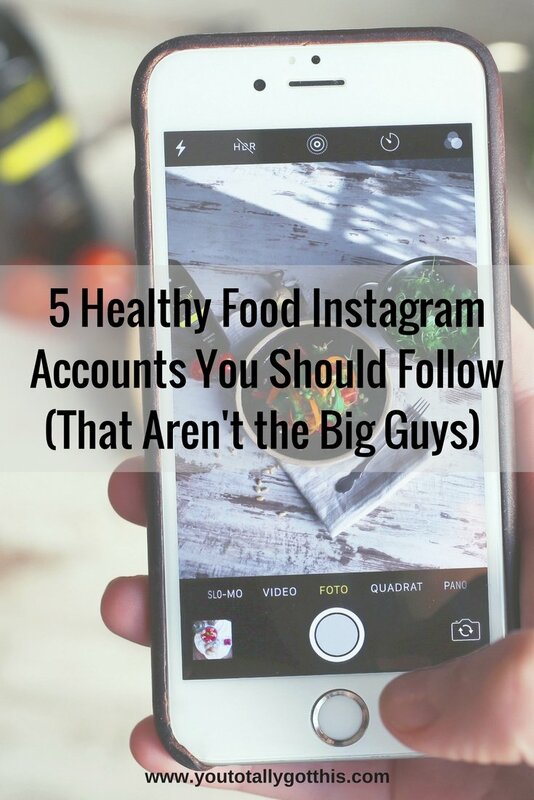 If you’re looking for some cool healthy food Instagram accounts, that aren’t the big guys, I think I can help out. I’ve put together a list of some of my favourites. They mostly have under 1,000 followers and are ALL completely awesome. Get ready to be inspired. You guys are going to love these accounts. Claire at Raising Sugar Free Kids is AMAZING. Her super power? Being able to make a low sugar version of anything. And, I’m talking anything. And that my friends, makes Claire my favourite super hero. Check out Claire on Instagram @raisingsugarfreekids or on her website Raising Sugar Free Kids. PSA: Don’t skip the dinner recipes on your way to the Creme Brulee. Her Sardine Puttanesca recipe is one of my favourite recipes, ever! Just like me, Cassie’s mission is to make real food fun. Plus, she loves the occasional margarita. I mean, if you ask me. She’s practically a sister from another Mister. Cassie posts lots of recipes straight into her captions, so you don’t need to leave Instagram to get cooking. Plus, look out for her epic recipe round up posts. Her 40 Quick and Healthy Dinner Recipes is one of my go to resources for creating my weekly meal plan. Find Cassie @beforeverhealthierblog on Instagram or over on her blog Be Forever Healthier. Easter memories…⠀ ⠀ I remember waking up every Easter morning with my cousins and running around the house trying to collect as many eggs as possible. ⠀ ⠀ I always had my eye on the caramel ones, and would “remind” my cousins how much they “hated” them in order for me to trade with them with far inferior eggs. Pretty unfair trade considering the caramel eggs were twice the size of the others! Sorry @billytheodore ? ⠀ ⠀ We’d eat chocolate for breakfast, lunch and dinner that day, but I was always weird about eating the eggs after the day. It was like in my mind they expired as soon as Easter was over, so you better get to eating as many as possible! ⠀ ⠀ They stopped making my beloved caramel eggs a few years back, and I’m still devastated. Eating one was like revisiting those Easter mornings all over again. How come no one makes Easter egg hunts for adults? ? ⠀ ⠀ These days, I still eat bulk chocolate on the day (it’s the rules – Easter bunny said so! ), but I mix in some actual nutritional food in there too – for good measure. ⠀ ⠀ I’m currently working on a salad to take to lunch on Sunday. And this is what I’ve come up with so far! Roasted sweet potato, chickpea & feta – droooool. ⠀ ⠀ I love experimenting with new salads. After a roast pumpkin kick late last year I’ve now been trying to incorporate sweet potatoes in my salads and the result has been AMAZING!⠀ ⠀ And of course, like any other food blogger, I presented my latest creation in a really practical way for eating it ?⠀ ⠀ It probably won’t look this pretty on Sunday – just putting it out there now!⠀ ⠀ What’s one of your favourite Easter memories? Sari makes the most beautiful food in her home kitchen on French Street. It’s super healthy, always abundant and looks mouth wateringly delicious. Plus, I love that she shares what she is *actually* eating. It’s not made for Instagram. This is the way Sari eats. Every.Single.Day. Look out for Sari’s original recipes too. Spiced French Toast with Caramel Bananas…I rest my case. You can catch Sari on Instagram @frenchstfoodie or on her blog French Street Foodie. If you, or someone you know, has food intolerances or allergies, you need to meet Laura from My Petite Pantry. All of her recipes are grain free, gluten free, dairy free, soy free and paleo. But most importantly, they are are made with love for her beautiful little girl. Word on the inter-webs is that Laura’s Paleo Anzacs are so good, you can’t tell they’re not *real* Anzacs. Find Laura on Instagram @my.petite.pantry or on her beautiful blog My Petite Pantry. Functional Fit Mum is not just a healthy food Instagram account. Angie shares a little bit of everything in her life. Her workouts, her meals, her family, her life hacks. Oh, and there was that one time she rocked it out to Queen on the karaoke stage. True story. But the thing I love most about Angie? She’s funny, she’s honest, and she’s real. Her account…is basically EVERRRRYTHING. Go and say hi to Angie on Instagram at @functionalfitmum or on her blog Functional Fit Mum. This has been a kids breakfast favourite for years in our house. Peanut butter, chia and banana on toast. It's also my husband's favourite – he's told me before that if he was on death row, this would be his final meal. Easily pleased. Conversely, my last meal choice would probably induce a diabetic/alcohol coma. ????? 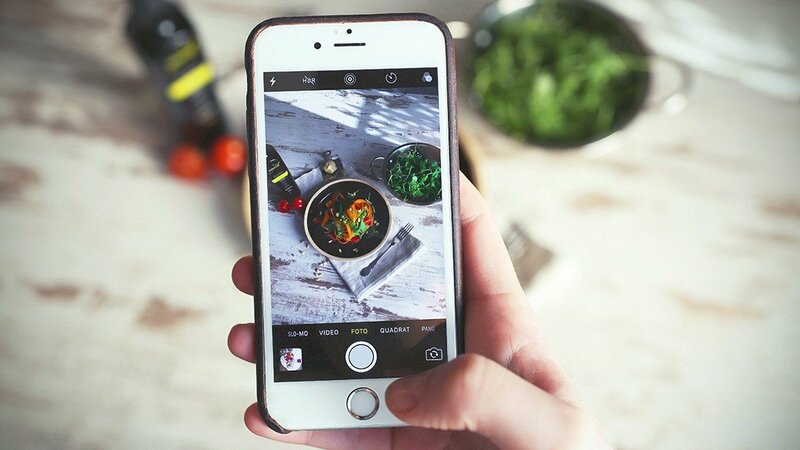 What are your favourite healthy food Instagram accounts? I would love to discover some new ones to follow. Hit me up with your recommendations in the comments section. P.S Has all this food talk made you hungry? Grab your FREE quick and easy weeknight dinner plan right here. Now I love the sound of that. My shout!